Nearly 20 years on from the release of Star Wars Episode 1 The Phantom Menace, people still have a sour taste in their mouth over that film. After watching Cinema Sins video about it on YouTube, it prompted a repeat viewing of them film to assess if it is really as bad as people made it out to be. In all honesty, it actually gets better with age. I won’t compare it to a fine wine because the film is still a shambles in some areas. If we look past the sheer annoyance of Jar Jar and accept that he was added as a way to draw more children into the franchise, then he can just be about excused. Plus after you sit through the Phantom Menace, you don’t really need to endure him for much longer in the Prequel Trilogy (he really isn’t in Attack of the Clones for that long). 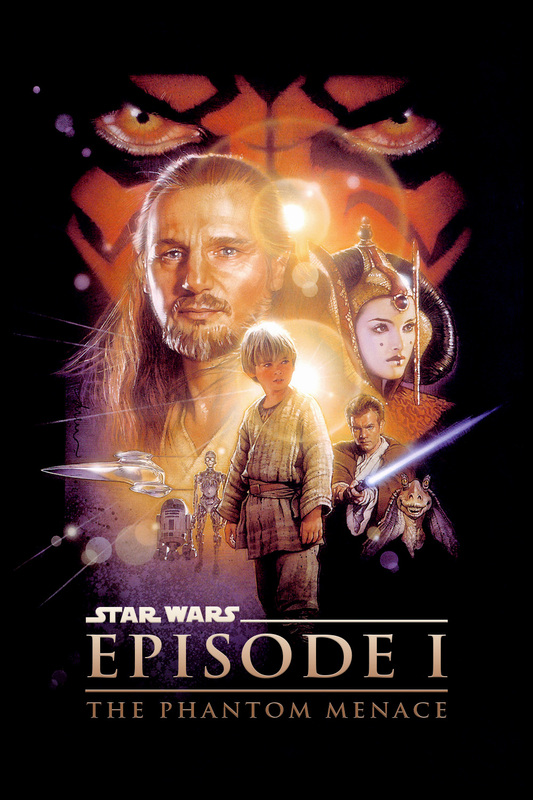 Plot wise, it does start of rather dry with Qui Gon and Obi-Wan going to negotiate some duff trade deal. In some ways though it’s a necessary evil since this entire situation was a catalyst for the franchise, and it adds some legitimacy to the backstory of how the Empire was formed. It’s not perfect, but it’s not as bad as it has been made out to be. It then moves onto finding Anakin and curiously, starting off in the same location where the movie began. A stand out point in the movie however is seeing the Jedi Temple properly for the first time. It was briefly shown in the Special Edition version of Return of The Jedi, but it was off in the distance. In the Phantom Menace, we get to set not only the Temple, but also the Order and Council which had been alluded to by Obi Wan in a New Hope. The acting at times is a bit stiff too, with Jake Lloyd getting a lot of the flack in this movie for it’s overall reception. Yes, he’s not the best actor but his child like arrogance in the film is something which actually makes sense when you consider that Anakin is a pretty unstable character. Of course, the two stellar scenes in this entire movie are the podracing and final duel. In terms of the podrace, this is something that is just as fun watching it the tenth time as it was the first time. It also shows pretty well just how great a pilot Anakin was at a young age, something which was later passed down to Luke. It truly looks amazing, and shows off another side of Tatooine which wasn’t seen in the original trilogy. The of course there’s the infamous lightsaber duel between Darth Maul and Qui-Gon Jinn and Obi-Wan Kenobi. This battle alone was worth the admission price for seeing this at the cinema and there’s nothing quite like seeing that dual bladed lightsaber being ignited. The battle is everything you would expect when it comes to a lightsabre duel, and it was the perfect length with the right amount of suspense. It is a shame though that Darth Maul didn’t make it past the Phantom Menace. As a character, he was nearly as imposing as Darth Vader, which is no mean feat. The standout character in the film though is Senator Palpatine. Even with the political backdrop and the times where the move sort of grinded to a halt, Ian McDiarmid’s performance as Palpatine was spot on, and provides the necessary set up for what is to come later on in the series. The Phantom Menace really isn’t as bad as it has been made out to be. It’s a good film, no more, no less. It will always be the weakest in the Star Wars franchise, but considering the quality of the other films, that’s not exactly a slur against it.